UPDATE: As of July 2014, Write About Dogs is now available as a digital download! Finally! I know! This book is also available as a signed first edition. We have a limited number of these at $100 U.S. per copy, plus shipping and handling. When they’re gone, well, they're gone. To order, Contact Us. To buy the regular old $26.95 hardback, please click below. UPDATE: This book is no longer in print - but wait - it's still available! 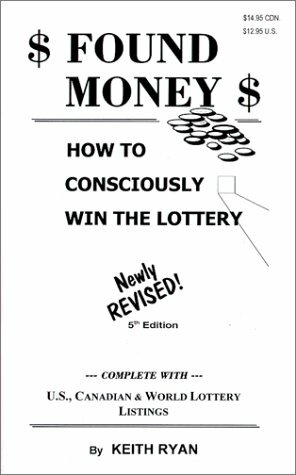 That's right, FOUND MONEY - How To Consciously Win The Lottery is now available as a download. We have removed everything but the crucial text and offer those riveting pages for a scintillatingly low $2.50. Shut up! That means that in the next few minutes, you could be reading this book. A few more after that, and you could be on your way to a different life. 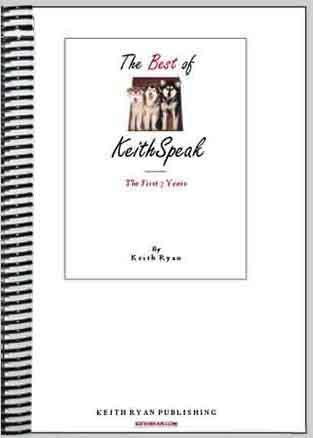 The Best of KeithSpeak is also available in a hard copy, coil bound version. Please click here for pricing and shipping information.